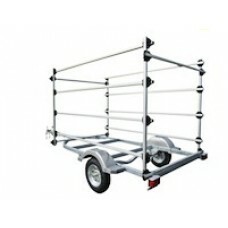 Make storing your boat or board easy with boat storage racks and hangers from Dynamic Dollies. Dynamic Dollies, 6 Boat Inflatable Storage Rack, 29002.. Dynamic Dollies, 6 Boat Inflatable Storage Rack with Runners, 29002-R.. 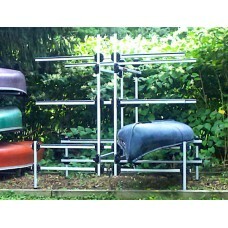 Dynamic Dollies, 6 Canoe / Kayak Tree Storage Rack, 20007.. 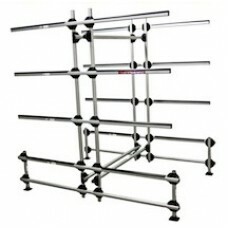 Dynamic Dollies, 7 SUP Lightweight Display Rack, 20028.. 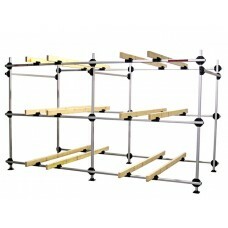 Dynamic Dollies, 8 Canoe / Kayak Tree Storage Rack, 20008.. Dynamic Dollies, 8 Optimist Trailer Rack, 20022.. Dynamic Dollies, 9 Boat Inflatable Storage Rack, 29003.. Dynamic Dollies, 9 Boat Inflatable Storage Rack with Runners, 29003-R.. Dynamic Dollies, Boat Display Rack w Slings (Specify Boat Type), 29991.. Dynamic Dollies, Combo Rail Ststem w/Rack Over, 29998.. Dynamic Dollies, Combo Rail System, 29999.. Dynamic Dollies, Combo Rail System w Rack Over-Spar Deck, 29998-1.. Dynamic Dollies, Dock Cradle (Specify Boat Type), 29994.. Dynamic Dollies, Hiking Bench, 29994..